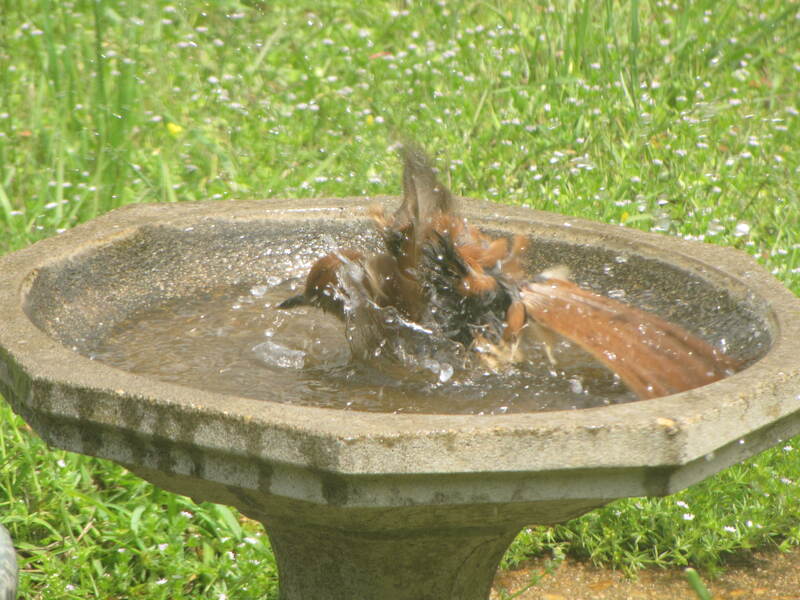 While there are some birds, like Bluebirds, which will take a bath any time the water is not ice, Spring usually brings with it an increase in the number of birds bathing in our birdbaths. Of our two birdbaths, this concrete bath is far more popular than our larger green plastic bath. We think that it is because the other bath has steeper edges. The more gradual concrete slope may feel safer for smaller birds (like the out of focus chipping sparrow) worried about getting in too deep. And no, despite appearances, the Cardinal is not trying to drown itself. Though sometimes the bather has a great deal of difficulty taking off. 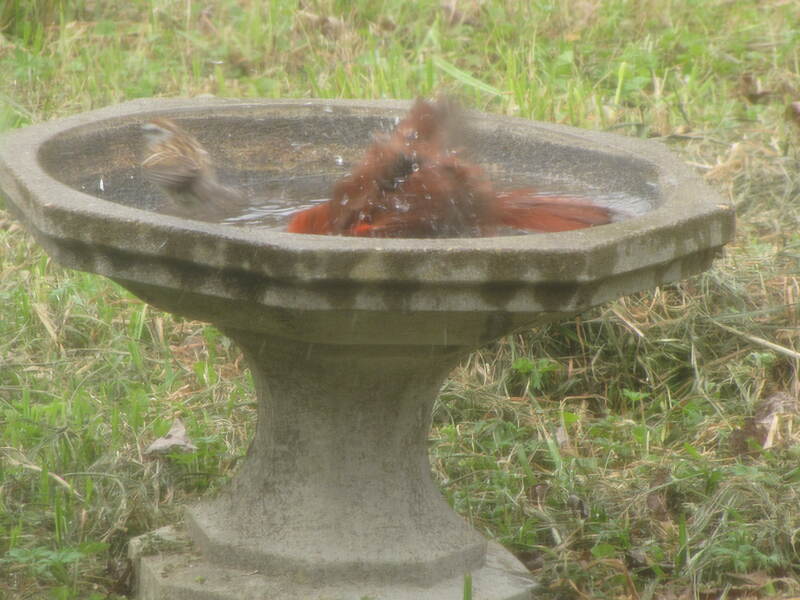 And here is the greatest threat to the water in our birdbaths, the Brown Splasher (Brown Thrasher).